And she doesn't like been named after a pair of trainers. 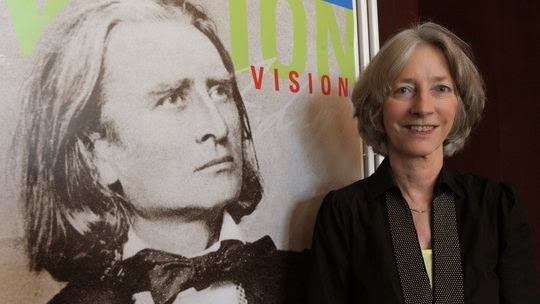 Nike Wagner, the great granddaughter of Richard Wagner, became the new director of the Beethoven Festival in Bonn this year. Before that, the 68-year-old spent 10 years heading up the Weimar Art Festival. On Talking Germany, she tells us about her plans for the Beethoven Festival, and why Beethoven is a better ambassador for Germany than her famous relative Richard Wagner. Nike Wagner was born in 1945 in Überlingen on Lake Constance. She was the third of four children born to opera director Wieland Wagner. One year after the end of the Second World War, the family moved to Bayreuth, where her father took over directing the famous Bayreuth Festival originally set up by Richard Wagner. The family lived in Richard Wagner's villa, "Wahnfried". Nike Wagner went on to study literature, music and theatre in Berlin, Paris, Chicago and Vienna. She did her doctorate in the United States, studying Austrian cultural critic Karl Kraus and Vienna Modernism around 1900. While working as an author and teaching in various countries, she applied repeatedly to take over as director of the Bayreuth Festival, but without success. Instead, she became director of the Weimar Art Festival in 2004, a position in which she continued for ten years before moving on this year to the Beethoven Festival in Bonn. Nike Wagner has a daughter from her first marriage to French director Jean Launay. She is now married to musicologist Jürg Stenzl and lives in Vienna.